For laparoscopic and robotic surgeries, the surgeons’ competency is important to keep high quality of surgical treatment. 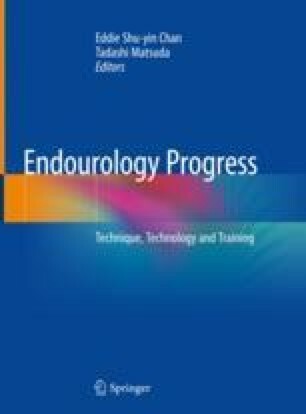 Japanese Society of Endourology (JSE) and the Japanese Urological Association established a urological laparoscopic skills evaluation system called the Endoscopic Surgical Skill Qualification (ESSQ) System in Urological Laparoscopy in 2004. By 2016, a total of 1463 urologists had qualified from a total of 2561 applicants after skills assessment on non-edited videos by two referees, resulting in a pass rate of 57.1%. Details of the system and the skill assessment results are shown. Prospectively collected surgical outcomes of 2590 laparoscopic urologic operations performed by 130 qualified doctors 5 years post-qualification were excellent, demonstrating the good predictive validity of the ESSQ System. The reliability of video assessments by referees was analyzed statistically on 1220 videos which had fixed points by two referees. The results showed moderate reliability for the video assessments by the referees, but the final qualification rates showed no significant differences among the referees, which indicated that the video assessments by the referees were fair for all applicants. In the 13 years since the launch of the ESSQ System, it has become the goal of young urologists in Japan who learn laparoscopic surgery. According to a nation-wide survey by JSE, open conversion rates and major complication rates have dramatically decreased during these 26 years since 1990. Sixty referees, including the authors and the late Drs. Yoshinari Ono and Kazuo Suzuki, spent a lot of time to assess the videos every year. Ms. Keiko Iijima, the chief secretary of the JSE, performed all the clerical works on the system. All authors contributed to this chapter as the chair of the ESSQ System. Remarks: Ethical approval is granted for the studies involved in this article according to local regulations. Disclosures: Drs. Tadashi Matsuda, Tomonori Habuchi, Hiroomi Kanayama, and Toshiro Terachi have no conflicts of interest or financial ties to disclose.